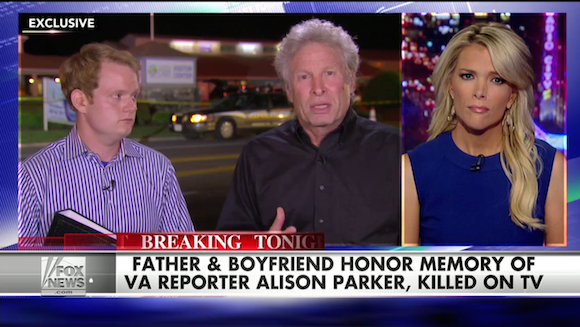 The father of reporter Alison Parker, who was killed Wednesday morning along with cameraman Adam Ward during a live broadcast on channel WDBJ7 in Virginia, appeared on Fox News’sThe Kelly File Wednesday night. 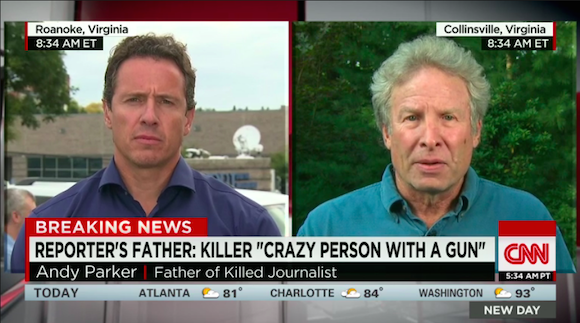 Standing beside Alison’s boyfriend, WDBJ anchor Chris Hurst, her father Andy Parker told host Megyn Kelly that he is going to dedicate himself to gun control. Parker appeared on CNN’s New Day Thursday morning and further pushed for gun control.